True besties are forever. They never leave your side when you go through thick and thin. This friendship day, go out of your way to celebrate your bestie for life with an exceptional gift. 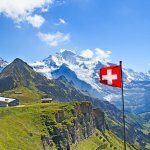 Just so you can have a perfect idea on what to go for, we wrote this article. Come with us and we'll explore the options together. 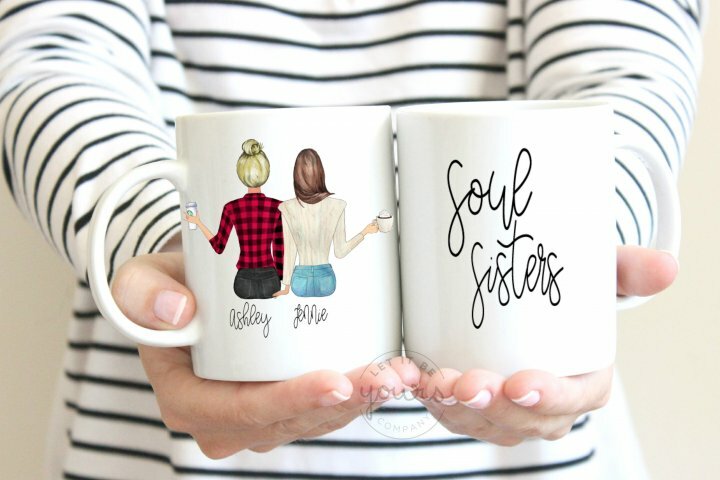 10 Best Gift Ideas For Your Bestie On This Friendship Day. Friendship is one of those relations which brings happiness in our life. But, unlike the other relations, friendship is a special relation which we choose for ourselves. Friends give us those precious moments which can be looked back on with a smile on our faces. Everyone has that one special friend with whom they feel most comfortable, their bestie! 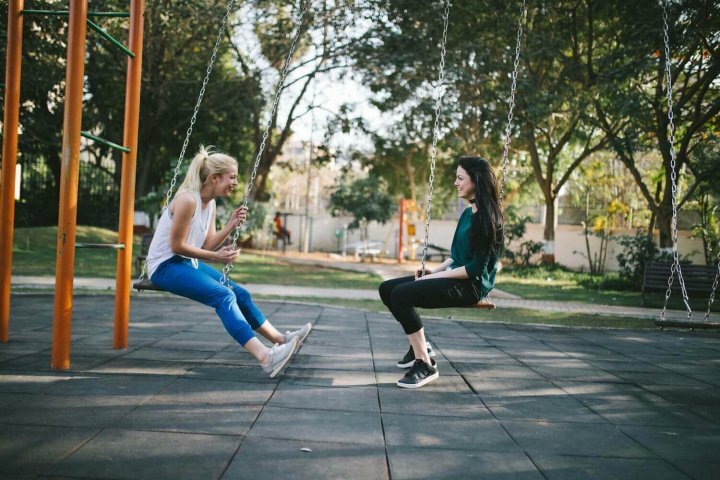 Your best friend holds a very important place in your life and what another day should it be than the Friendship Day to express your thankfulness to your best friend. Friendship day is more than just a day to remember your friends, it's a celebration of the innocent, selfless bond between two people. A day reserved for the person, who holds a very important place in your life. Doesn't your best friend deserve the best gift, this Friendship Day? If your answer is yes, we can certainly help. Before looking for the best gift, you should be very clear about the taste of your best friend, and if he or she is truly your best friend it should not be a problem at all. Of course, you know his/her likes and dislikes, but to make sure you give them something they will really like take a few days in advance, closely watch and note down your friend's views on various subjects, maybe even run gift ideas by them in a subtle way. Is he a party animal or does he like nature and tranquility? What type of music does he like, classic or contemporary and does he keep his room tidy or it's a mess? These small observations will help you a lot while selecting the best gift. For example, for a person whose bedroom is always messy in spite of his best efforts, a desk or some other kind of organizer can be of great help. A gift can never touch someone's heart if it doesn't recall a memory. A cheap photo frame which holds a beautiful picture of two of you on your first motorcycle can be a priceless gift in comparison to many precious gifts which eventually ends up in some closet. You may be friends for years, but out of those years, the moments cherished by both of you are very few. Recall those moments, ruminate over it and decide the gift which perfectly represent those beautiful moments. It should not be that though to recall those finest moments, as there won't be that many. It Should Perfectly Represent The Bond Between You. Friendship is such a beautiful relation which plays a multifaceted role in our lives. At times our best friend can be our teacher, mentor, comforter, competitor, inspiration apart from being our spoiler, personal bodyguard, driver, ATM, rooster and of course our secret vault. But, to select the best gift for your best friend, you have to perceive the most important role he plays in your life. Any gift associated with this bond can be awesome. For many people gifting is nothing more than a ritual, which has to be obeyed on particular days. Those people perhaps don't understand that any unthoughtful gift can be disastrous for your relationship and stakes are even higher when it comes to your best friend. Afraid not, we have selected the following ten gifts for your best friend, which won't let you down. How many times have you picked up your phone today? Hard to tell, right? Smartphones are no longer just another utility device; it has become our personal extensions. Though mobile phones are very personal devices, its cover speaks volumes about the personality of the owner. 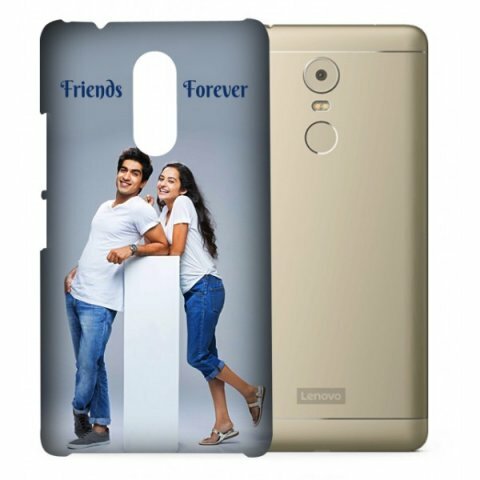 Wouldn't it be great if you place your finest memories along with an appropriate message on the covers of mobile phones? In this way, your message will always remain close to your best friend. So, our first pick in this list is personalized mobile covers. You just have to visit regalocasila.com, select the model of your friend's mobile phone, upload your fun photo and a message. The mobile cover will be delivered to your home at Rs. 249 only. If your best friend is a girl, she will assuredly appreciate our second pick of this list. Your best friend can be your mom, sister or your classmate, if she is a girl, one thing is very common, they just love jewellery. We have picked this infinity bracelet, which can be personalized by hand with a stamped initials of your names on the disc charms. Apart from reminding her of you, this bracelet is very fashionable and can be worn with any dress. 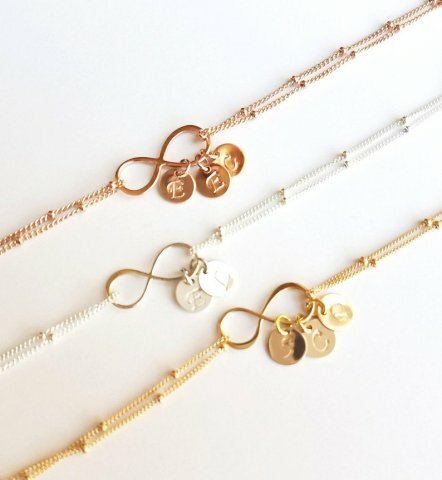 This Infinity charm is 14K gold plated, Rose gold plated, White gold plated on brass/size 30mmx12mm (about 1.2"). The satellite double chain is 14K gold plated, Rose gold plated, white gold plated / size is 5.5"+2.5" extender chain. You can get this bracelet on Etsy.com at Rs. 1947 only. Personalised coffee mugs are one of the most preferred gifts items. Not just because you can use it as your coffee mug or pen holder or a souvenir, but also because it is no lesser than any other expensive decorative piece in your house. Our next pick in this list is this cute coffee mug available on etsy.com. 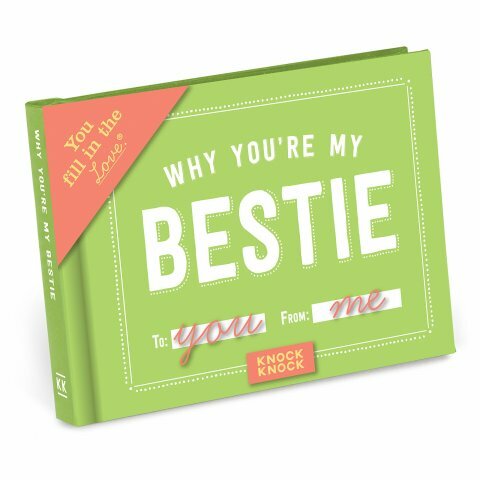 Printed with cute images and impressive messages, it is one of the best friendship gifts. The best thing is, it is completely customisable. You can choose from a ton of options according to the taste of your best friend. As we have already said, your best friend could be your mom, sister or classmate, but whoever be the recipient it is an ideal gift for your best friend. You can get this coffee mug at around Rs. 897 only. At first view, you may not find this revolving photo cube impressive enough. But with a combination of some of your best photographs together and some selected best friend quote images, which are easily available online, it can be a different story altogether. Photographs are the easiest and best way to tell a story. Combine it with some great quotes and it will become a masterpiece. You can upload 6 of your favourite pictures along with your messages or quotes on the website and it will be printed on this revolving cube. The cube doesn't need any battery and it keeps floating with the help of a magnet. The cube has a dimension of 6.5 cm x 6.5 cm x 6.5 cm, thus it can easily be placed on your working desk. 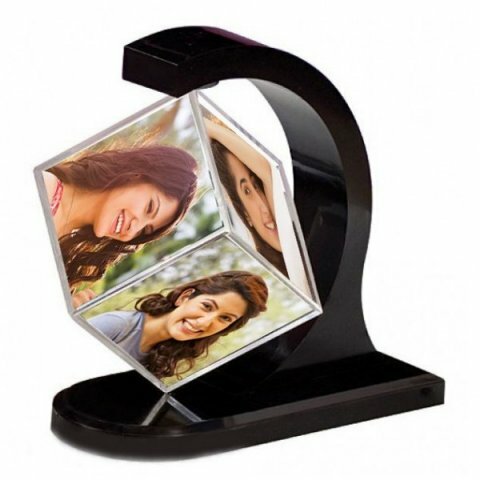 You can order this revolving cube on regalocasila.com at Rs. 399 only. This pick of ours is especially for those girls who are having a sweet tooth. Your best friend who stood beside you at all times, making bad times good and good times better definitely deserves the sweetest of gifts. It's time for a return gift for the sweetness she has poured into your life and what else could it be other than Belgian Pralines. Pralines' most popular form of Belgian chocolates having a chocolate shell and softer praline fillings. But these are not limited to the traditional praline filling and often include nuts, marzipan, salted caramel, coffee, liquors, cream liqueur, cherry or a chocolate blend that contrasts with the outer shell. 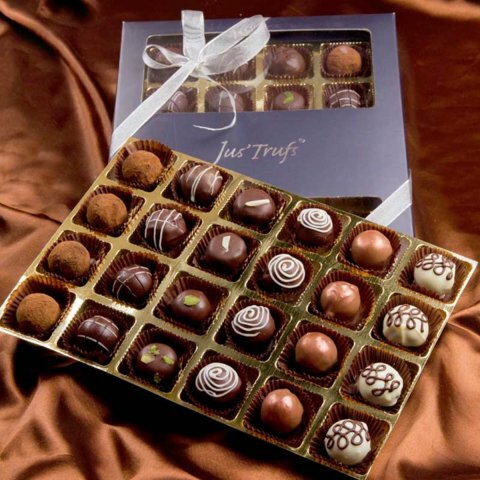 We have picked this Jus'Truf Belgian Pralines gift pack for you. In one gift pack of The Jus'Trufs, you get 24 Belgian pralines. They have a deeper cocoa content, deeply appreciated by purists who understand fine chocolate. Neatly packed in an assortment of flavours of Jamaican Rhapsody, Rocher Noir, Cappuccino Ganache, Marzipan Amande, Marzipan Pistache, and Dark Sinful Ganache. You can order this sweet souvenir on giftease.com at Rs. 1920. Have you seen the animated movie, Up? It has a cute story of friendship between a young boy and an old man and how they helped each other to eventually achieve their dreams. 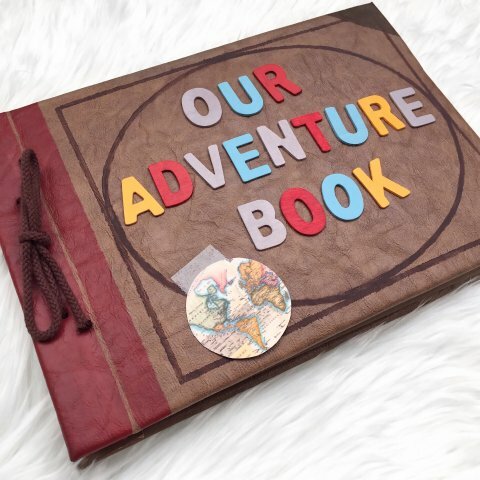 Inspired by this movie, our next pick is this handmade Our Adventure Book. You just have to fill it up with the photographs, texts, stickers etc. 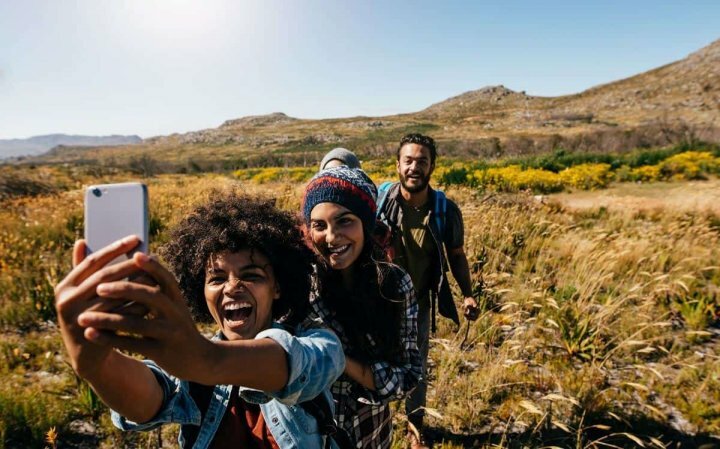 related to the good times you have spent together, a little bit of creative scrapbooking and it will become a memory lane for your best friend. 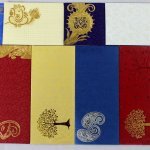 If you are not familiar with the term scrapbooking, just think of it as another method for the preservation of memory using your creativity. This Our Adventure book is handpainted, having Wooden Letters and covered with Leather like material. ​​This Book has 60 Pages of Size: 32.5 x 22.5cm. Order it on etsy.com at Rs. 3872. The pinky swear signifies a promise that can never be broken, a promise to be at each other's side at the time of need, a promise to keep each other's secrets deep in your hearts, a promise to support each other at hard times and a promise which only best friends make. 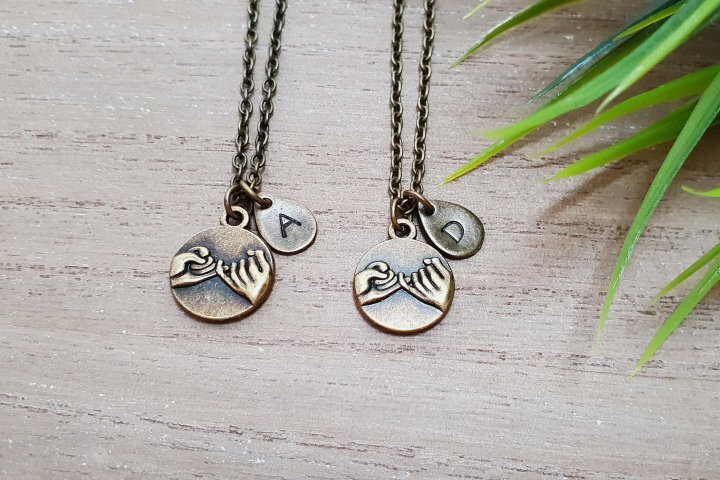 Our next pick on this list is this pair of pinky promise necklaces for both of you. It is customizable with the initials of your names. Made of brass and copper with a vintage style. Each necklace is embellished with a raw quartz bead on the back, which according to the seller can have positive benefits for both psychic and physical conditions. You can order this set of two necklaces on etsy.com at Rs. 1748. If you want to gift your best friend something that always remains before his eyes, these tea coasters would be the best selection. Coasters are a very common, yet very useful item. They don't just protect your table surface from unwanted ring marks of tea, coffee cups, but also define your attitude. It always stays on the desk. 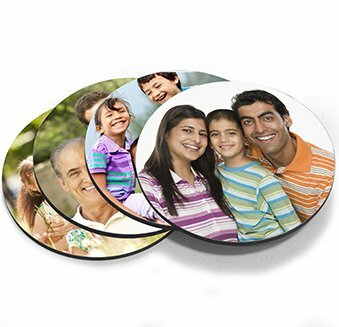 We suggest you order this set of 4 round coaster on printvenue.com, they will print your uploaded image onto this wooden surface coaster. Regarding the image, we suggest rather than upload your photographs, upload images of some best friend quotes with the name of your best friend, using your creativity. This set of 4 coaster costs Rs. 799. Any girl who has to travel a lot knows the value of a good tote bag. It’s the perfect carry-all for your essentials. A girl can keep her each and every essential in this bag, such as wallet, phone, headphones, book, scarf, sweater, toiletry bag, water bottle and snacks. Especially the standard tote bags which has two straps and a main spacy compartment that is perfect for day-to-day use. Tote bags have also now become a style statement of modern girls. 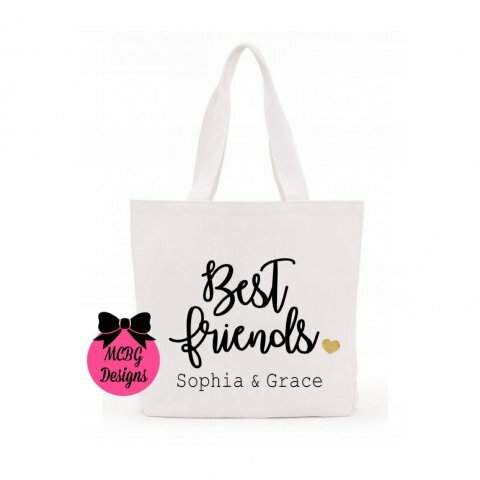 Personalised with the names of both of you, this tote bag makes the perfect gift for your best friend. The dimension of this tote bag is 13.5 inches width and 13.5 inches in height. You can order this stylish personalised tote bag on etsy.com at Rs. 809 only. Some boys are not made for a static lifestyle, they love to be free and wild. They are just made to rule the roads. If both of you love to roam around on your bikes to feel the air against your hair, you can check this pair of key rings. 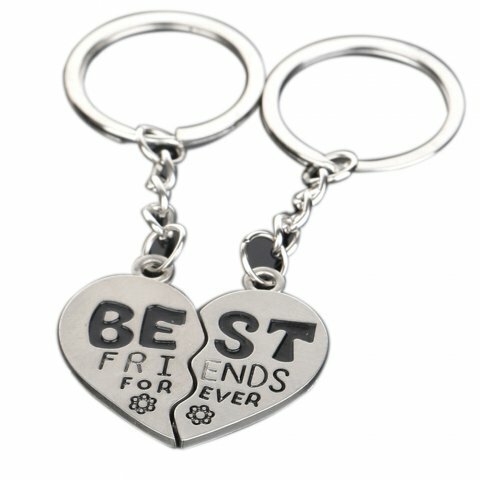 These are silver plated metal alloy handmade key rings. 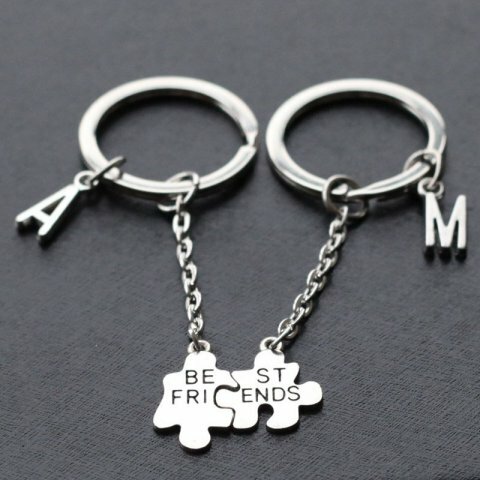 These key rings are personalised with initials of your names and engraved best friend text. You can buy this pair of key rings on etsy.com at Rs. 636. Last but not least. Friendship is not only about the exchange of gift's and messages, but it's also about taking responsibilities. The moment you accept a person as your friend, let apart your best friend, you are liable to be his partner at all times; good or bad. You have to ensure his happiness. There is no better gift in the market which can bring happiness in the life of a best friend than something which has a touch of your soul on it and which is made by yourself. We suggest you make a Happiness Jar for your best friend. 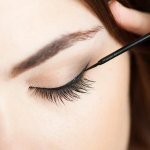 Believe us, it's very easy, yet very effective. You just have to choose a jar to hold happiness notes for your best friend. Decorate the jar with ribbon, stickers, hanging decorations; whatever you like. Cut up little squares of paper, or use little memo pads, and get few nice pens. Now, remember something that has made your best friend feel happy and write it down on those papers. You may write as much memory as you can. You can simply fold those papers or if you want to get fancier, you can roll up each of your handwritten notes and tie them with a cute ribbon, or piece of twine. Ask your best friend to read those notes, whenever he feels sad. And that's it! Now you should have the perfect idea of the most ideal gift for your bestie to celebrate this coming friendship day. Remember, true besties are forever, therefore they deserve the best! So, go on, order the gift and surprise your special friend this coming friendship day. Chao!